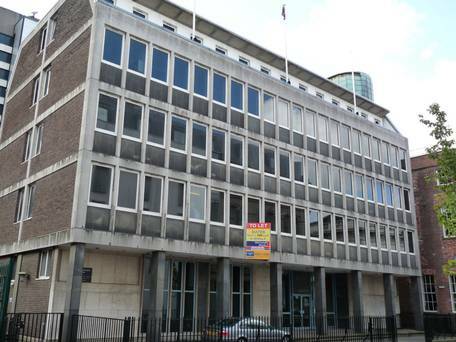 Belfast city centre’s War Memorial Building could be converted into a ‘designer’ hotel after it was sold to Andre Graham and Seamus Sweeney for just over Â£1m, the Belfast Telegraph can reveal. They are the former owners of Belfast gay venues The Kremlin, Union Street and Shoe Factory. Mr Graham yesterday confirmed he and Mr Sweeney were finalising their contract with the sellers after a bidding war which attracted around nineÂ bids from an original asking price of Â£850,000. The building had been bought by Frank Boyd’s Killultagh Estates in 2007 for around Â£7m. 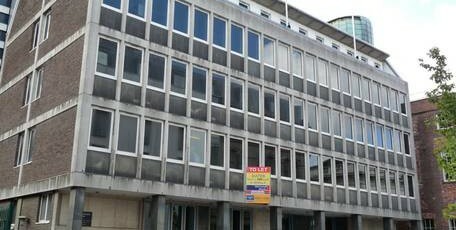 The War Memorial Building has been on the market since June through agents CBRE, who did not wish to comment yesterday. The building at 10 Waring Street in the city centre was formerly the QueenÂ Anne Hotel, but it was blown up during the Belfast Blitz in 1941. It was reopened as the War Memorial Building by the Queen Mother in 1963 and has been used for office accommodation in the last few years. Part of it still houses the museum of the Royal Ulster Rifles. Speaking to the Belfast Telegraph, Mr Graham said the new venue would not be aimed specifically at the gay community but that all would be welcome. Mr Graham, who is from New Zealand, and Mr Sweeney, who is from Letterkenny, sold the Kremlin to tenant Anthology NI last year. Its asking price was Â£3m. Their hotel will be the third in a tight radius in the Cathedral Quarter, close to the five-star luxury Merchant Hotel and the budgetÂ Premier Inn. At least one other is also planned for the quarter. Mr Graham said his hotel would not be seeking any star rating and would remain independent rather than joining a hotel franchiseÂ or brand. And he said he did not believe the area would eventually be over-served with hotels. “We do want to open a designer hotel which will be unique as the building itself,” he said. He said he intended to announce full plans for the hotel before Christmas. “A lot of our plans do rely on planning [permission] and I wouldn’t want to pre-empt those meetings.” Mr Graham said he and Mr Sweeney also owns some other development sites in Glasgow and Belfast. The War Memorial plans mark the latest in a range of new hotels planned for the Cathedral Quarter and city centre. Paddy and Edmund Simpson, owners of Benedict’s Hotel on Bradbury Place, are planning to open a 40-bedroom hotel in a former warehouse on Donegall Street. Merchant Hotel owners Beannchor unveiled plans earlier this year to convert Lagan House, an office building opening on to Victoria Street and Ann Street, into a hotel.